Manitham Charitable Trust is a non-profit organization that was founded in the year 2005 by Mr. Vanarajan Swamidoss. 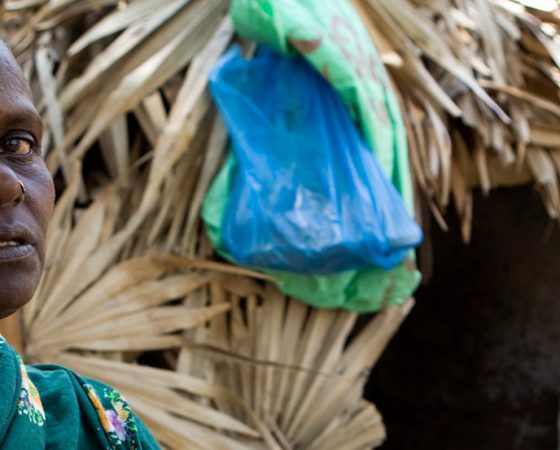 It is a grass root organization that focuses on working with communities children and the youth to ensure their development, empowerment of adolescent girls and upbringing through its projects. 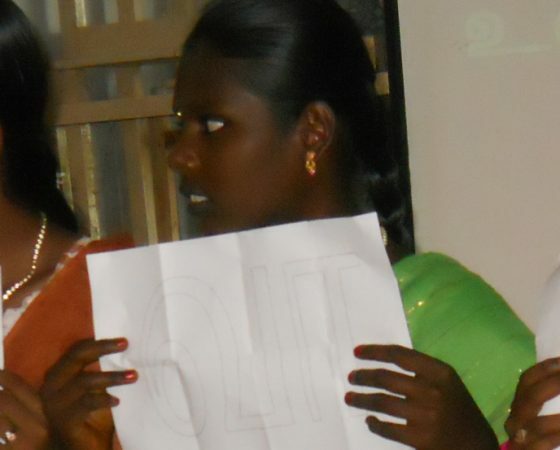 Presently Manitham operates in the deep rural regions of Tamil Nadu, India. 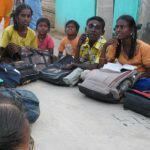 Manitham has 15 centers, and works with around 600 children through these centers and its projects.The Manitham Centers play home to the communities, where they are engaged through workshops and sessions to learn and grow. There are various social barriers and challenges faced by the communities of these regions that need to be highlighted. Manitham presently is focusing on campaigning and spreading more awareness for the need for change and consciousness against these social evils. Manitham functions with a small team of individuals, and majorly implements its projects through its mentors and volunteers. 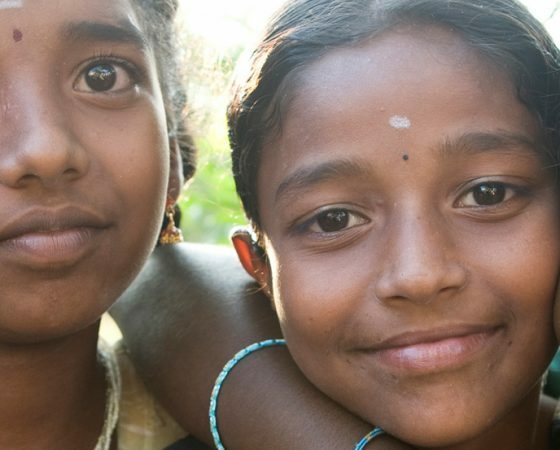 The Child Connect Project focuses on engaging the children of various communities, bringing them together, to their respective regional centers to focus on key personality and educational aspects…. 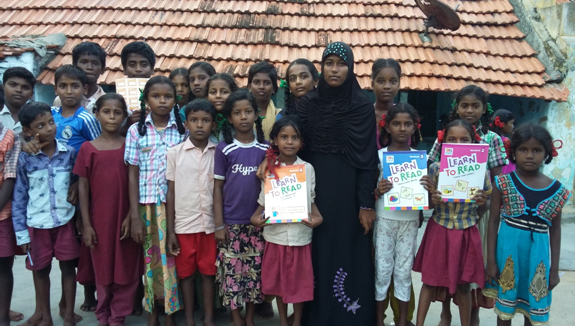 To serve the dual purpose of educating children in deep rural villages & to empower and protect them from exploitation, Manitham runs Child Resource Centres (CRC). 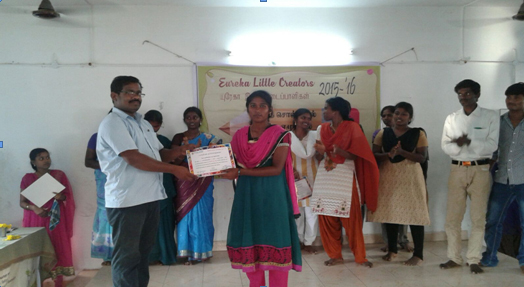 We operate 15 CRCsin Sivagangai District&575 children benefit from this program. CRC runs weekly five days (Monday- Friday) & our mentors teach all subjects to our children. Subjects include Tamil, English, Maths, Science& Social science. 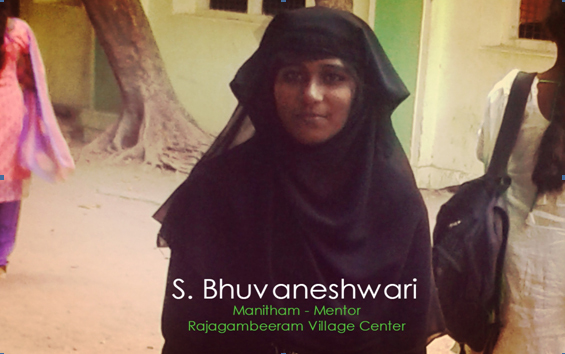 My name is S. Gowsalya I am a Mentor at Rajagambeeram Village, Manitham Centre. I belong to an economically and socially backward Dalit family. We are quite unaccepted in the community. My father runs a tea shop in Chennai. I am the youngest in my family with a older brother and a sister. My father use to work hard to collect money to get my sister married. Since then, my family has been getting through each day with a struggle, due to lack of money or support from the society. It was just then when; I completed my higher secondary, but was unable to study further. My school friends joined various colleges as per their wish, but due to the struggle at home, and the need to help them I was not able to go to college but was only able to watch my friends go to college. It made me really sad and disappointed. I too would have liked to continue studying but, my family situation remained as a constant barrier. Observing my insistent will and desire to go to college and study ahead, my father asked me to apply to the Government Arts College and after a bit thinking i did. And through the grace of god and the blessings of my farther, I got a seat at RDM Government Arts College, Sivagangai, and started my studies in B.Sc Chemistry. It was one of the happiest days of my life. All my school friends mocked me for studying in a government arts college and taking the hard route. But I never felt let down by their jokes. I always thought that I would work hard and take care of my family. But I got support from no one since my village is dominated by a particular caste and set of people. Everyone in our village, ignored my family situation and started showing no sympathy to us, since we belonged to a Dalit community. Hence, I received less support both in my village and friends circle. My first year in college was one of the worst days I have ever faced in my life. I had only a couple of dresses and found it too hard to ask for money from family for even my transport expenses. I was depressed and looking for a solution to overcome this difficulty. At that time, I got a lot of support and encouragement from Mantiham and their team. This came to me, an unexpected saving grace in my life. They recognized me as a mentor to support my community and placed me in my own village. I feel pleased to be a mentor to my children and being a part of improving their skills. The first day I received remuneration for my time and effort from Manitham was the most happiest day in my life. No one had ever appreciated my effort and skills to this extent before. From this financial remuneration every month, I am able to support my family and also I am able to fulfill my needs and continue doing my UG peacefully. 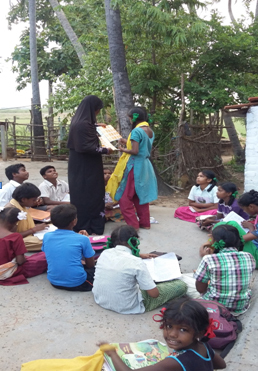 In our Manitham center, we scheduled our time with learning activities and personality building activities. This attracted the children to our center and they are now well taught to be doing mathematical calculations, reading and writing Tamil and English languages. Initially we ran our center with lots of disturbances and misfortunes from the villagers. But the importance and way of teaching were recognized by the villagers, and now they show respect over me and my family. Now I am brave and independent enough to face any difficulties or challenges of my own. The team members of Manitham are we understanding and are supportive for all of us mentors. Every step that Manitham takes, makes way for our improvement. Manitham always remains a home away from home. Manitham does, what money cant.